Before PMing KRIKzz about repairs, check here to see what you can do on your end to remedy it. Members, please chime in in comments, I'll build the list as suggestions come in. OS Init... issue (SD Card fragmentation) also THIS. If CopyNES is installed on your NES, the Everdrive will not boot. There's no solution for this (other than to physically remove the CopyNES) but it would be good if it were on the list of common issues so that CopyNES users don't have to spend a lot of time trying to figure out what the problem is. Heavy graphical glitches is most commonly caused by dirty pins on the console and/or cartridge. So first thing to try is to clean them with pure alcohol. New Everdrives probably doesn't require cleaning though. A faulty power adapter can also cause all kinds of problems including graphical glitches. Try swapping it for a new one that is within the specs for the console. Unfortunately, the Everdrive N8 is a bit picky if it comes to SD cards. I tried about 6 until I got this thing to work. Cards from Transcend don't seem to work well, some SanDisc are problematic as well. Your best bet is to get a bunch of SD cards and try them. Download the OS from krikzz.com and just unzip it. Put all files and folders on the SD card, on the root level that is. And that's it for the OS. Your Everdrive N8 should work now. Note: You can create a subfolder for your ROMs, to keep them away from the OS files. Just add a "ROM" folder on the root level of your SD card and put your ROMs and folders in there. If you cannot get your Everdrive N8 to boot, you may need to reset the CIC chip. You'll notice the LED on the Everdrive N8 and the LED on your Famicom / NES flashing. In this case keep pressing "Reset" on your console several times, until the green LED on your Everdrive lights up. Start up your Famicom / NES. You can now navigate through the file structure like in Windows Explorer or Mac's Finder. 2. When the Everdrive OS is loaded, press "SELECT"
Within the game you can now use this button combo to quick load or save a game state. This saves the current game's memory as a snapshot, so everything is saved from lives, location in the game and even genie codes. Note: This does not work for every game. Additionally, in some (rare) cases the memory will be corrupted when loading the save state. If you rely on save games you should check if it works first. Speaking of which: This one is tricky, as the OS has a rather non-intuitional way of handling these. 1. First, select a game (only select!) by highlighting your game in the file system, pressing "B" and choosing "select only" (and press B to confirm). 2. Then, hit "SELECT", choose "Cheat codes", press B. 5. Now, only press START and it should work. How to reset a game? By default the Everdrive N8 brings you back to the last place you've been in the file structure when pressing "Reset" on your console. This can also be changed in the settings menu ("SELECT" > pick Options) so that the game is reset instead. How many saves can I do? Only one, without tampering with the file system. Save one, load it again - that's it. There are ways with copying savestates from and onto the SD card, that have been discussed in this forum. How do FDS games work? Like NES games, no difference basically. However, to save a game with the FDS "built in mechanics" you will have to press "Reset" on your console. Switching your console off without doing so results in your progress being gone. Some ROMs don't look right! Yes, this may happen and is mostly a problem with the ROM's image. I have this problem a lot with some of the "GoodNES"-ROMs (for example "Maniac Mansion [U ][! ].nes" has corrupted graphics). No, only the first batch of Everdrives needed that. Don't touch your BIOS (heh..), just enjoy the games. You should add that you must press reset to save FDS games. Thanks, I added these points. does the everdrive need the Disk System Rom in the root folder? Updated with OS Init issue. So any SD recommendations? I don't really want to have to buy a few different ones, any brand generally recommended? Despite what the guide says, the current run of "blue" SanDisk cards found at Walmart work for me. Fragmentation issues can prevent games from loading, so you may need to run a utility like Defraggler or UltraDefrag if you get hangs at "Loading...". If it doesn't work, you can always take it back citing device incompatibility as the reason. I tried the above steps with the 'Init OS...' bug to no avail, I'm even using the exact SD card posted in the thread. Any other tips to get rid of it? I can't even use the cart with that bug. - #1 Note: You can create a subfolder for your ROMs, to keep them away from the OS files. Just add a "ROM" folder on the root level of your SD card and put your ROMs and folders in there. #1 isn't exactly accurate. It's not just that you CAN create a folder called ROMS. You have to. If you have more than about 3-4 top-level folders, the device will not boot past "OS-Init" weird screen. This is a different limit that I haven't found anywhere. I had about 6 folders and thought the system was broken. I put these 6 under a folder called ROMS, and then the system had 2 top folders, and it booted fine. This should be stated more clearly in instructions. That is not normal. Are you formatting with the Windows system formatting tool? great forum and great support. I've read through a few posts but could not find a solution to my issue. I just ordered my nice looking N8 Famicom from the oficial reseller Emere (ESP) last week. I use it with my HVC 101 Toploader. I set up everything and I was very thrilled to get going .... but then ... glitches everywhere ... not a single game without them. 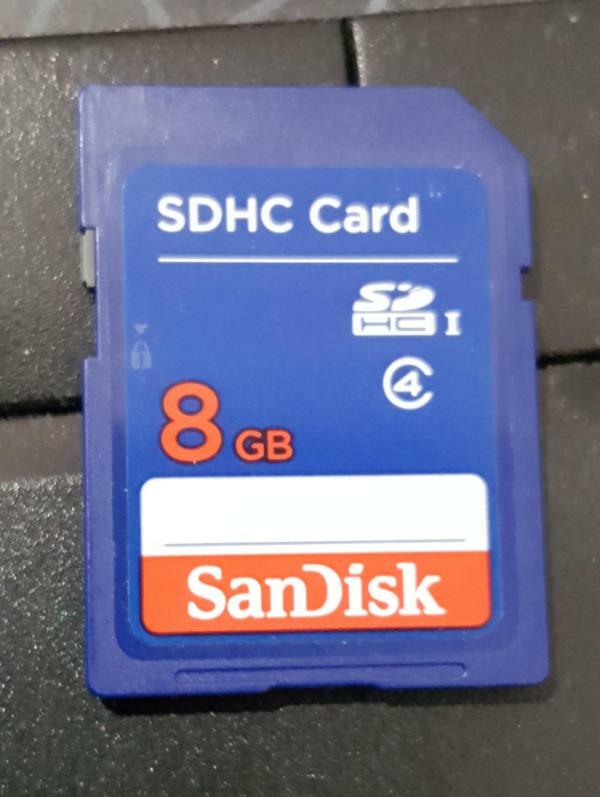 Q: Could a incompatible SD-card cause glitches? I live in Germany and therefore I use a JAP 3rd party Power Adapter with the exact specifics as the HVC-002 (OUTPUT: DC 10V, 850mA), except INPUT (100-240V, 0,5A max) + EU-Plug-Adapter. Q: Could this be a problem? Thanks greatly for your support.